Today is the official holiday for the amazing Dr. Martin Luther King Jr. Another day to sleep in, create, organize, and everything else in between, but also to recognize a great man in history. 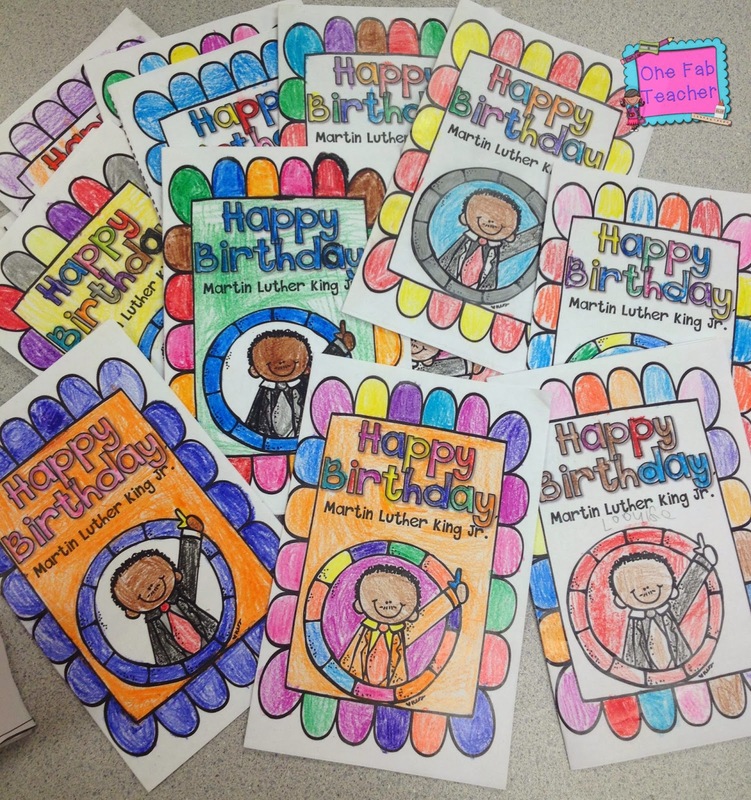 Last week I had the opportunity to teach my Firsties the history of Dr. King and the reason why we have this day off. I came across a fabulous packet from my sweet friend Sarah Cooley. 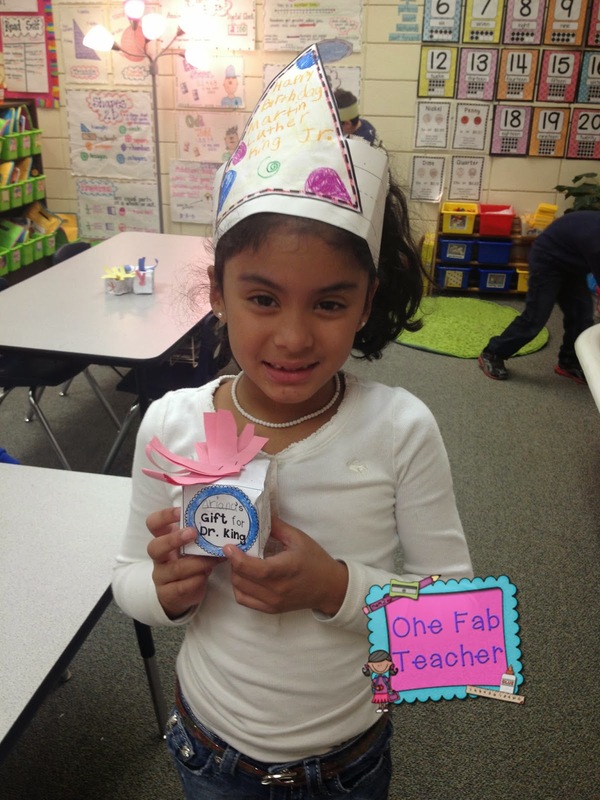 Her wonderful blog is First Grader At Last. She has the cutest packet for this important man. 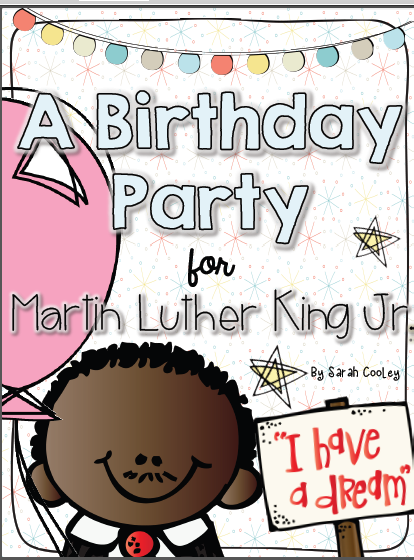 It's called, A Birthday Party for Martin Luther King Jr. So it was an amazing week for history and my Firsties LOVED it. So please excuse all the photos, but I'm a visual person. Here's the packet from Sarah's teachers pay teachers store. Click on the picture and it will send you right to this product. 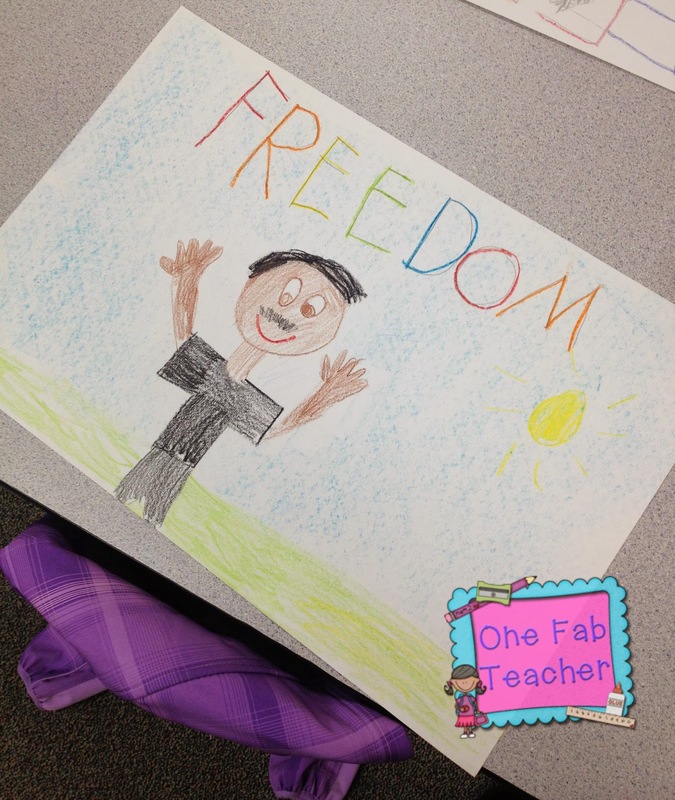 Most of you know that I LOVE creating anchor charts. It's my therapy. 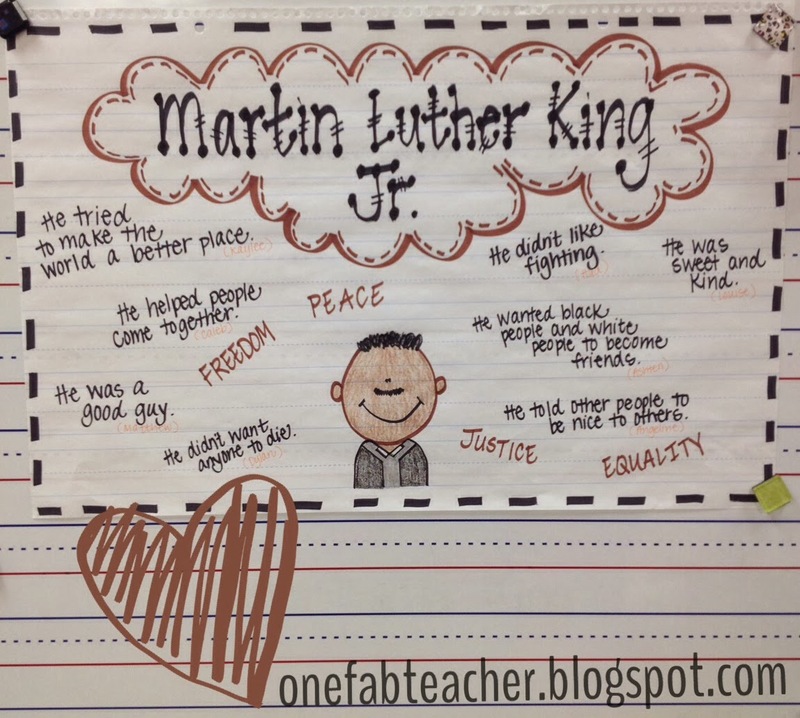 So we read many different books about Martin Luther King Jr. and as a class we described him and what we thought about him. 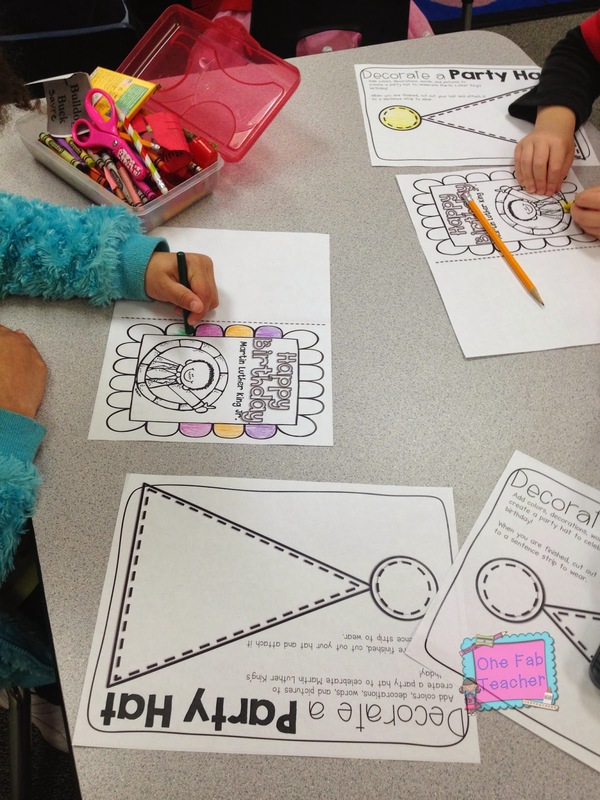 We created birthday cards, presents and party hats. I mean this was so darn cute I just couldn't stand it! I think this was one of my favorites from the packet. These precious cupcake toppers. I used candles to hold them, but don't worry we didn't light them. :) I just thought it was cute to have a real candle inside. Let's just say my Firsties LOVED them. "Miss May you make the BEST cupcakes." 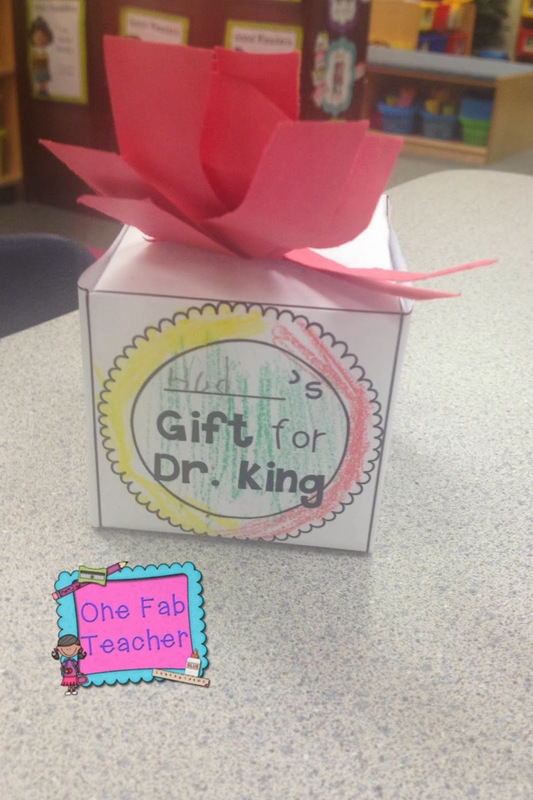 They know how to fill their teachers bucket. I decorated our door with all this awesomeness. The balloon is a timeline of important events in Dr. Kings life. 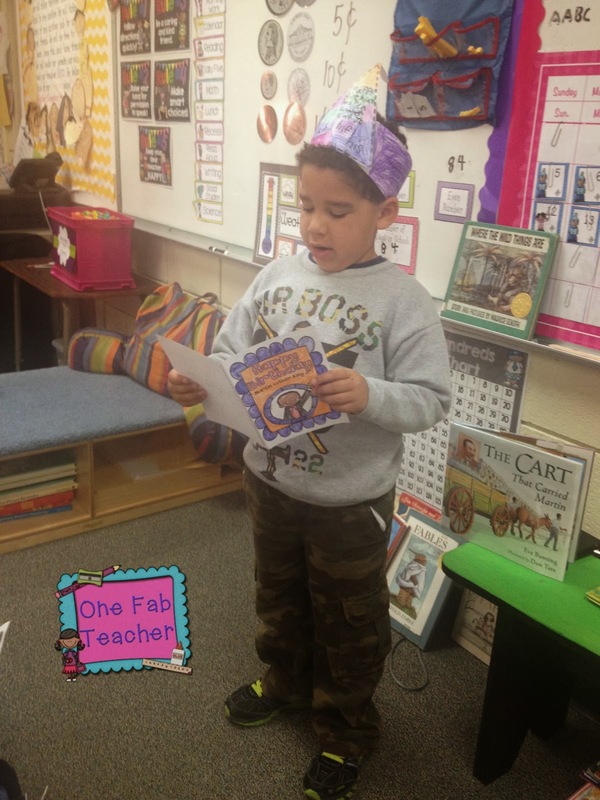 I had my Firsties turn and talk about their birthday cards. Then I had a few share their card out loud. This little cutie was so proud of his card and birthday hat! Melted my heart and made me very proud. We had our hats on and presents ready. 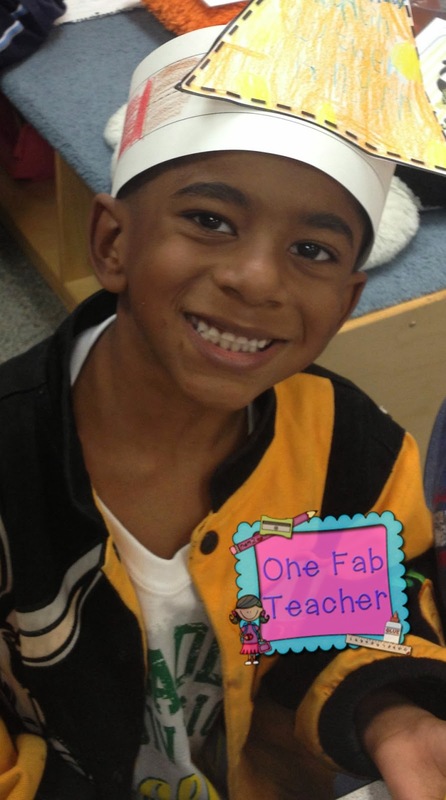 I just love ALL of my Firsties! 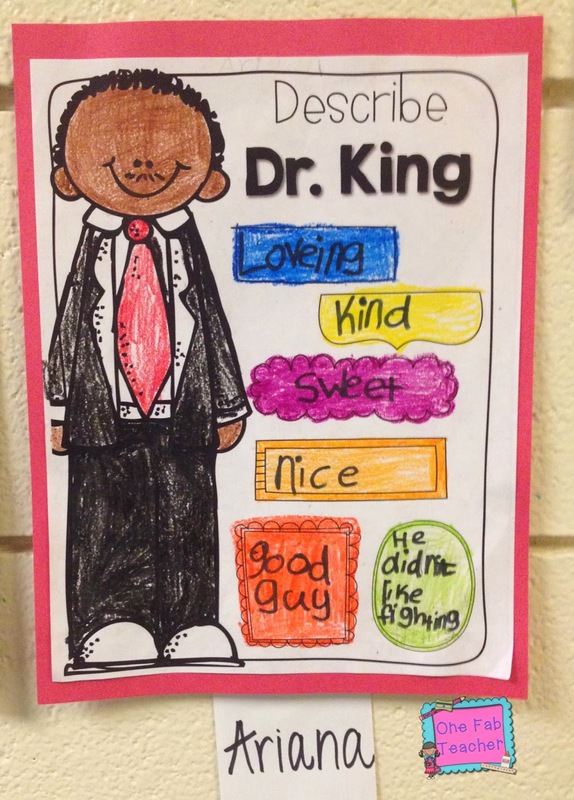 My Firsties were able to describe Dr. King in their own words. They did pretty well I must admit. I was pretty proud! My school has a total of 5 first grade classrooms. 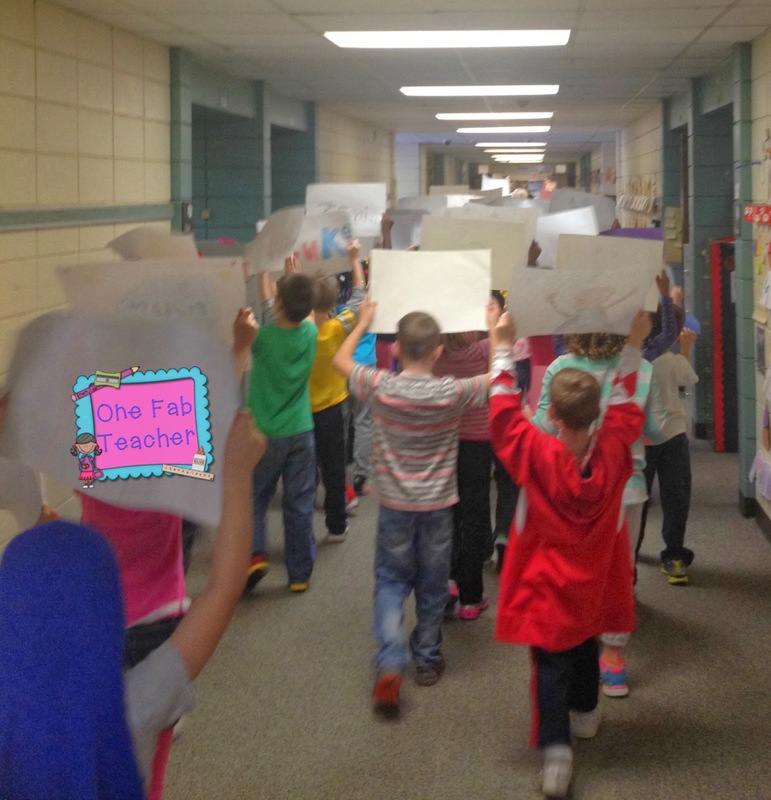 As a team we decided to come together and model a silent non-violent march for our school. It was AWESOME and our second year doing this. Our posters spoke for us and I tell you the whole school was impressed! Go Firsties!! 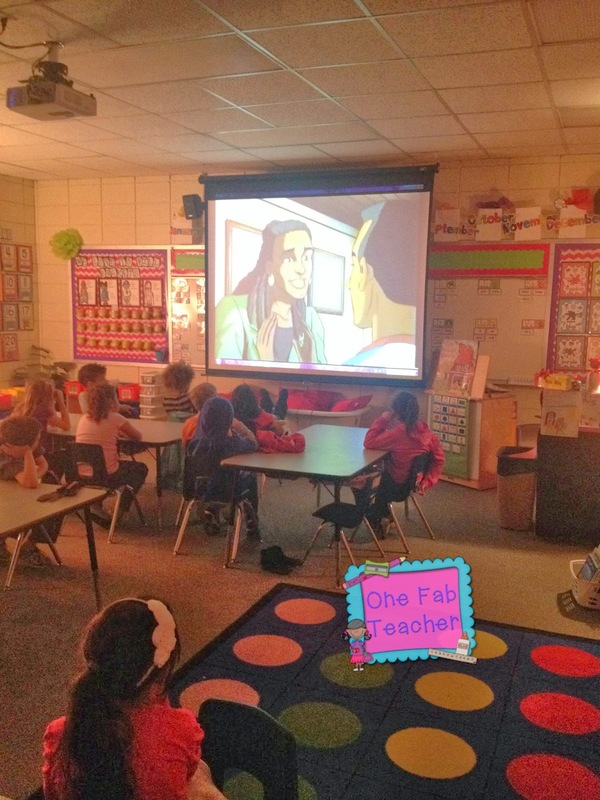 To end the week, we watched the movie Our Friend Martin. It was FABULOUS! It was very kid friendly and it kept their attention. One of my teammates Gayle was so kind to share with us and I'm so glad that she did. Thank you Gayle! As each one of my sweeties left for the weekend they each received a goodie bag. I didn't get to the store to buy bags so I use white construction paper and created them. This was truly a perfect way to end it. 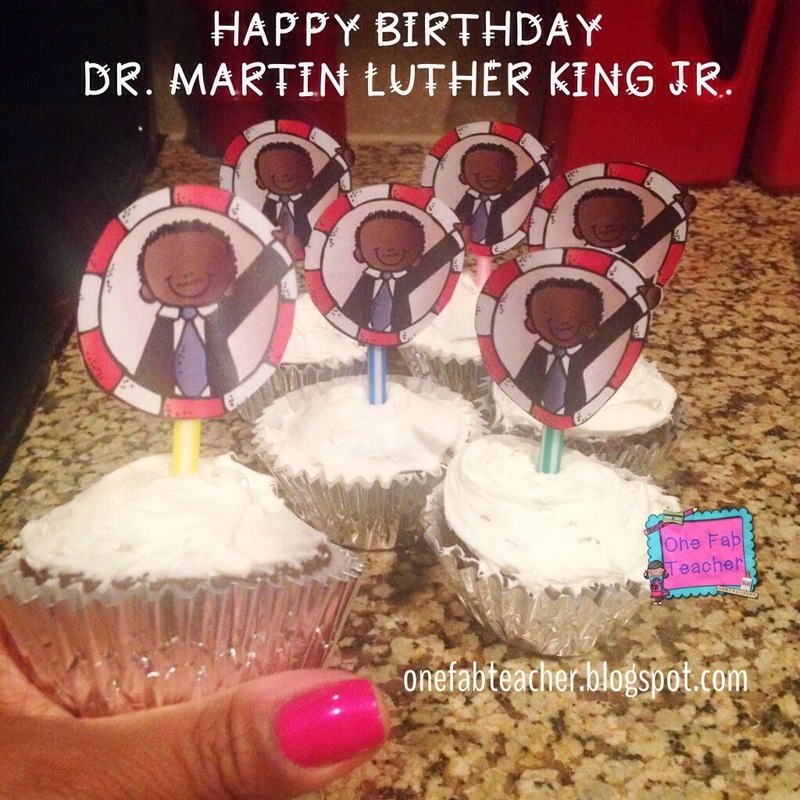 Each item meant something referring to what Dr. King believed. 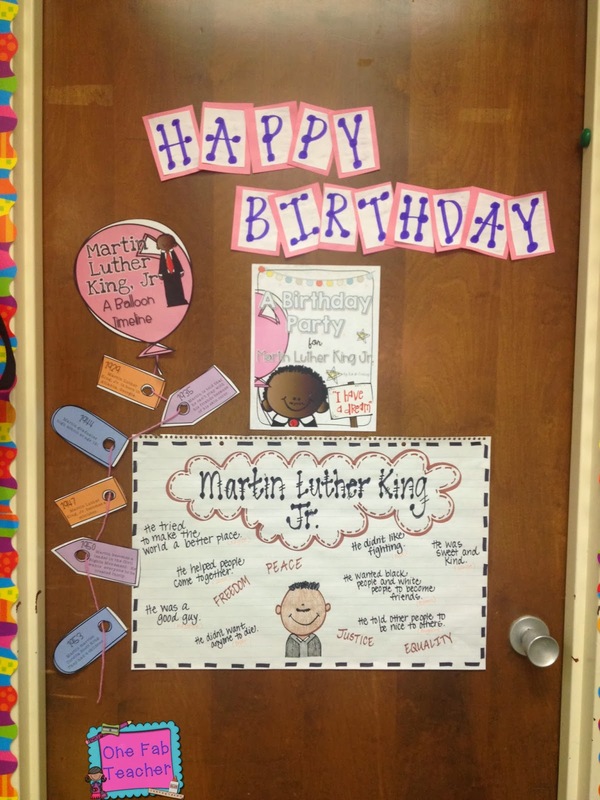 Overall it was a TRULY FABULOUS week learning about Dr. Martin Luther King Jr. This packet was perfect!! Sarah totally thought this through and was passionate as she was creating it. I'm so glad I own it. This amazing man believed in equality, justice, peace, and freedom. We have come so far and I'm so thankful that I have the opportunity to teach and work so many different students and colleagues. It truly is a blessing.